Steve & Michelle Smith's 2014 C7 Stingray. This is our 2nd Corvette in less than two years. Steve always wanted one since 1975 and had plans to buy one in 1981 when he returned from Germany while stationed there in the Air Force. Fortunately that was the same year I met Michelle and decided to put the car on hold and get married. We finally took the plunge and bought our first Corvette in 2012 a 2002 C5. 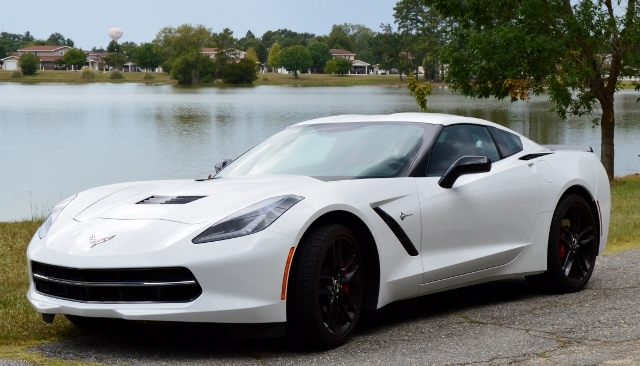 In July 2014 we decided to take it up a notch and bought this beautiful C7 Artic White with Adrenaline Red interior. Looking forward to many years and trips with this Corvette. Back to the Car Lot.